The chaos of the Clone Wars has left its devastation in countless systems. Worlds have been ravaged and brought to the brink of collapse. Citizens of thousands of worlds suffer from the turmoil of a conflict they never wanted, and the exhaustion that comes with a galaxy`s struggle for mere survival has opened the way for a nefarious and tyrannical evil to take control. 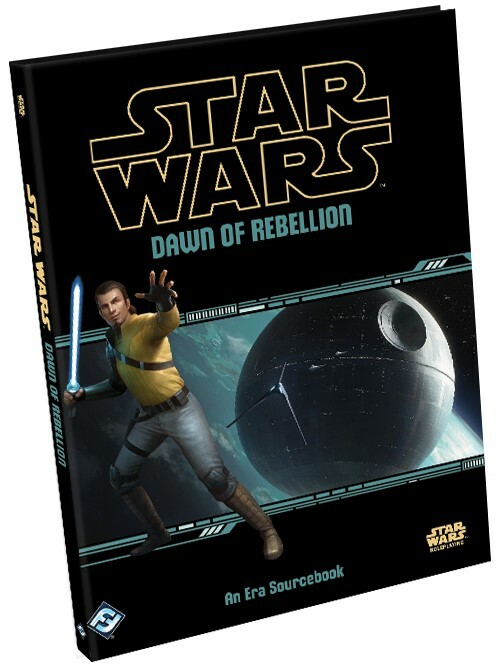 The Jedi Order has been eradicated and, with it, their particular religion and its impact on society. The Separatist cause has been lost. From the ashes of the corrupt and bureaucratic Senate, the former Chancellor Palpatine has secured a new Empire, promising peace and security for all who submit. There are some who welcome this change. There are more, though, who see the Empire for what it is: a pernicious evil, a cancer upon the Force, and the enemy of all free people everywhere! 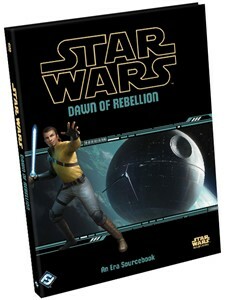 Dawn of Rebellion, the first sourcebook of its kind designed to be used alongside any of the three core Star Wars roleplaying lines - Age of Rebellion, Edge of the Empire, and Force and Destiny - primarily focuses on the years preceding the Battle of Yavin and features descriptions, context, and statistics for many of the iconic characters and vehicles appearing in the Star Wars: Rebels television series and Rogue One: A Star Wars Story.